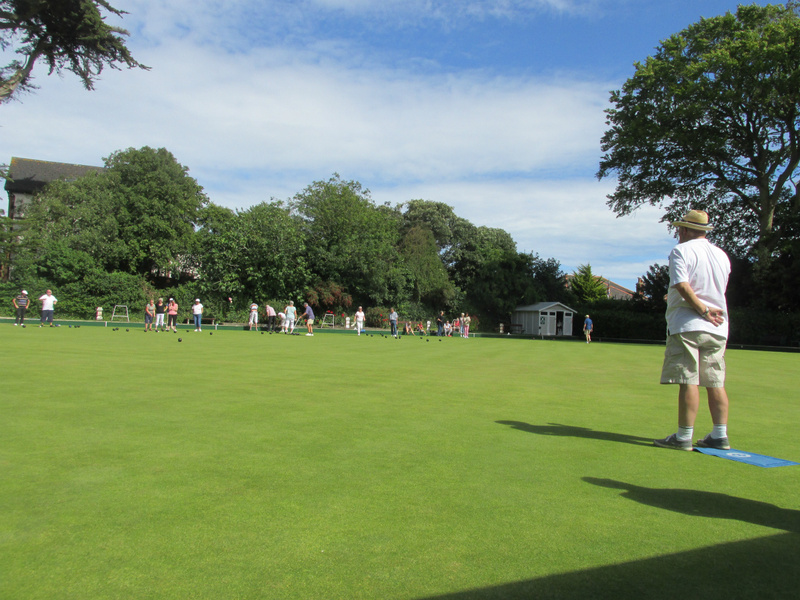 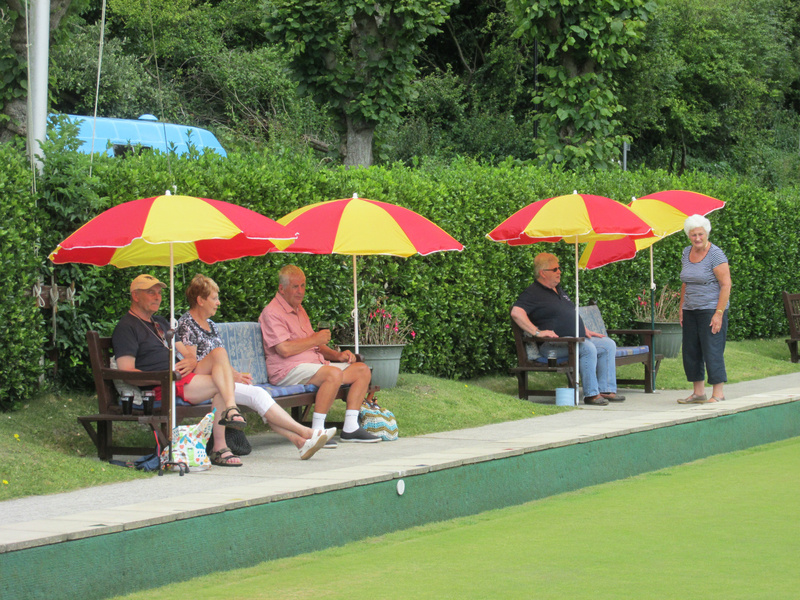 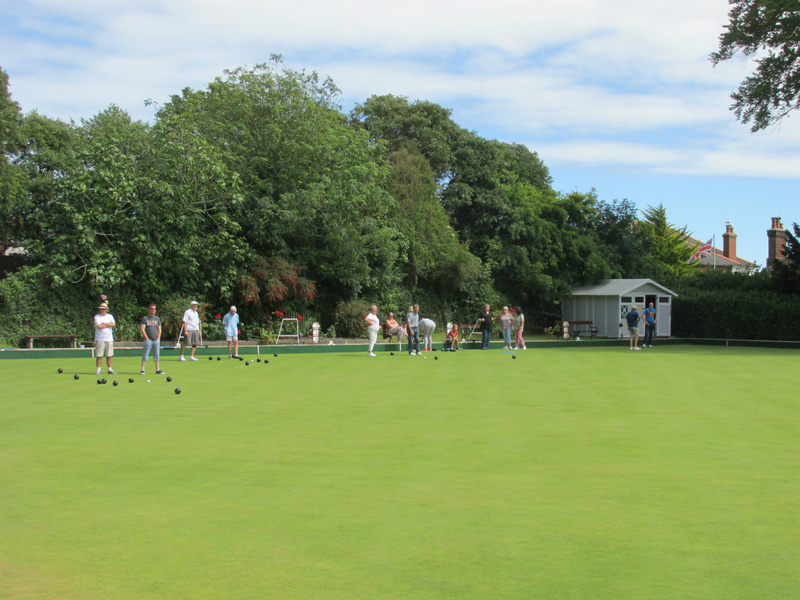 On Sunday, July 17th, our annual friendly game against the Ventnor Royal British Legion took place in glorious warm sunshine (for a change!) 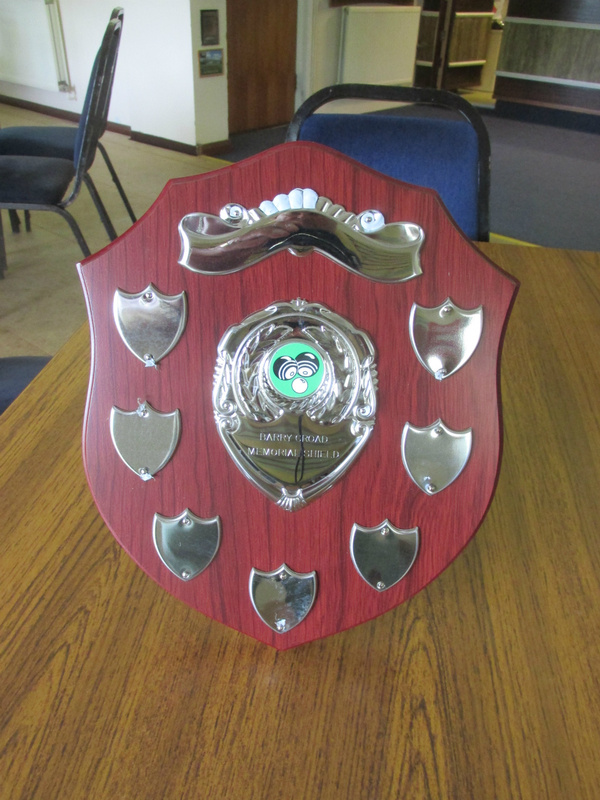 - for the THE “BARRY CROAD MEMORIAL TROPHY” . This is only the second time that the new Trophy has been contested, with the Bowling Club winning it last year. A full turnout enjoyed the bowls and the company (and the beer!) 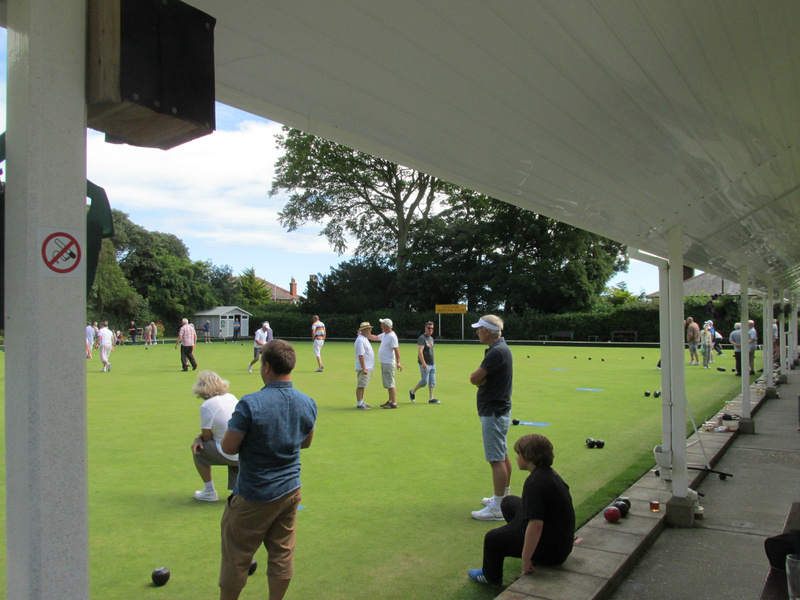 and in a departure from previous years, the Bowling Club presented a trophy to the TOP Winning Rink for the Legion team, which was Nick Parsons, Rita Dyer, Jean Elvers and John Ashpole. 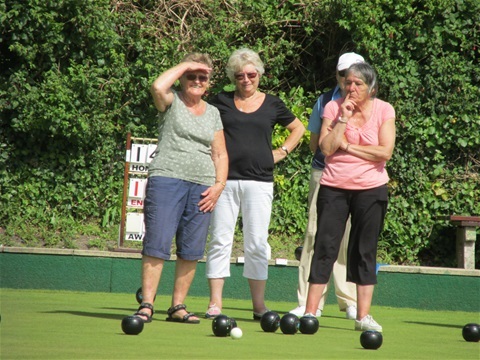 Reciprocally, the TOP LOSING Rink for the Bowling Club was Angie Parsons, Jackie Milmoe, Sylvia Ash and Jim Ashpole, who, needless to say, did NOT receive a trophy. 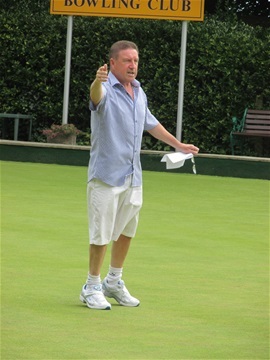 The Barry Croad Trophy, won by the hosts for the second year running, was presented by Adam Pratt, to Bowling Club Captain-of-the-day, John Milmoe who had ably organized the afternoon. 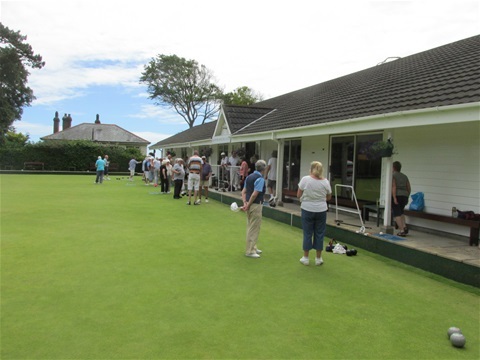 The match score was insignificant, as the real winners were everyone who took part.After the game, food was provided by Catering Manager, Carol Venier. 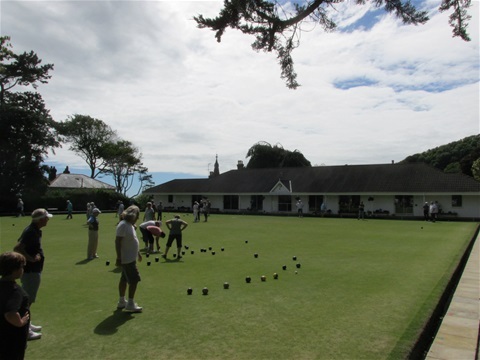 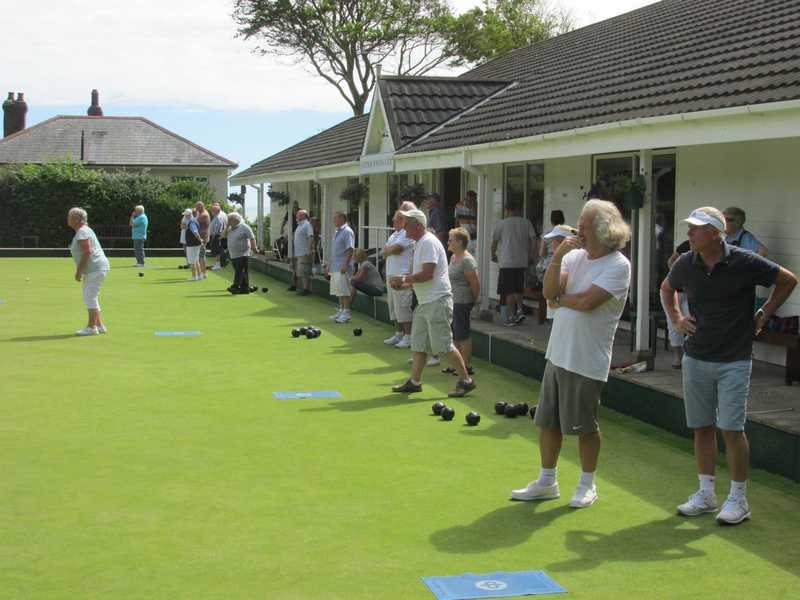 As usual, the Legion have challenged the Bowling Club to a return match (unfortunately for us it will be petanque, not bowls!) to be held at the Legion on a Sunday in early August, when it will be OUR turn, as usual, to get hammered.